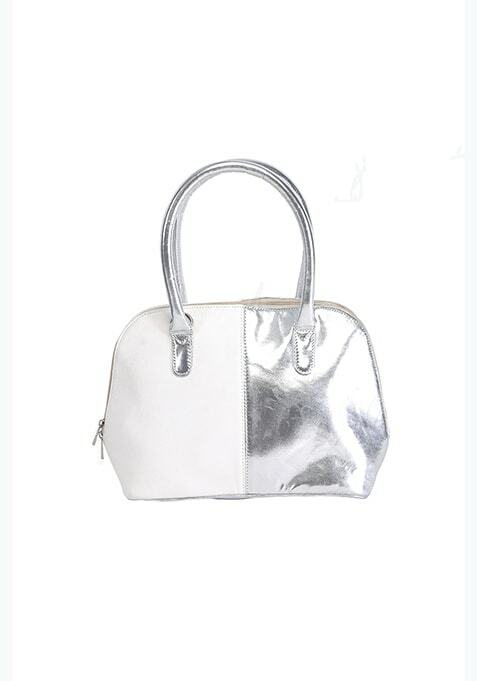 Totally cool metallic silver tote bag featuring a white faux leather half and twin grab handles. Spacious inner compartment with a top zip closure. Work It - Goes best with black skinnies & a printed top on a day out with the gals.